Scoop visits the Parker set. 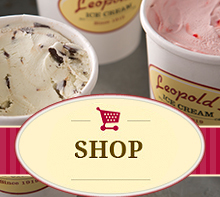 What do Jason Statham, Jennifer Lopez, Michael Chiklis, Nick Nolte, and Leopold’s Home Made Ice Cream have in common? They will all be featured in the upcoming action film “Parker”… that’s what! Owner and Hollywood Producer Stratton Leopold just wrapped production on his latest project, Parker, which shot in various locations including Louisiana and Florida (look for pictures coming soon)… and in one key scene, Stratton and the production team (including renowned director Taylor Hackford) found a way to work Leopold’s famous ice cream into the film! Where? Well, we aren’t going to tell you… ’cause there may just be a contest coming up for people who see the film and find our favorite flavors on screen! Watch right here for more details on the film’s release! « It’s warm and cozy time!